The Season includes four Concert Style Salons at the New York Historical Society: The Waltz of the Toreadors by Jean Anouilh; Time and the Conways by J. 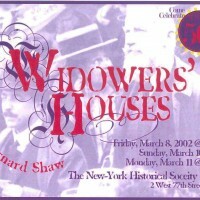 B. Priestley; Look Homeward, Angel, by Ketti Frings; and Widowers' Houses, by G. B. Shaw; and TACT's first full production, the U.S. Premiere of Noel Coward's Long Island Sound. When a young doctor discovers that the fortune of his fiancee is a result of her father’s exploitation of the poor, he is appalled. But soon – in a fantastic Shavian twist – he is converted to his future father-in-law’s point of view. 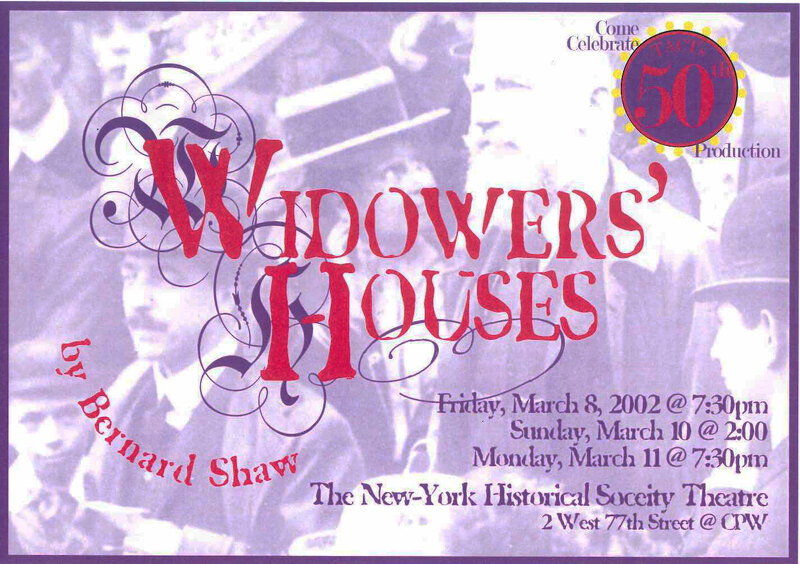 Widowers’ Houses, Shaw’s first play, was initially presented in 1892, and was a commercial failure. But, in yet another Shavian twist, it now is considered one of his most relevant and outrageous works.